Ms. Irina is a mother who loves each child who comes through the CDC like her own. She has been with us since 2011. In Cuba, she studied Art and Art History. Once in the USA, she studied ESL at Middlesex County College. Josef Silny & Associates, Inc. International Education Consultants evaluated her Academic Credential to be equivalent to a Bachelor of Arts in Art History Degree and 33 post-graduate credits in Art History and related courses. Her professional experience is mostly in Cuba, as a teacher in a Visual Arts Academy, Public Relation Specialist, and Director of Documentaries for which she received national and international awards. In her spare time, she volunteers at the Visual Arts Center of New Jersey in Summit and chases after her own two young children. "Working with children for CDC at Parker,” she says, “is a magical experience of discovery every day. 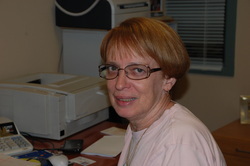 Marie Goldeski has been with our center for 22 years. She has worked in both the front office as the bookkeeper. Marie is not only the mother of three grown children but also a grandma of twin girls. 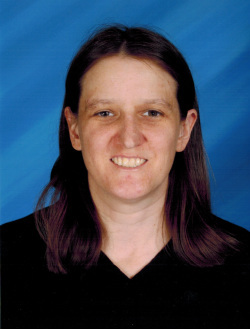 Ms. Stephanie has been working with children since the age of fourteen. She began her career at the Y in Highland Park as a CIT in their camp program. After attending classes at Middlesex County College, Stephanie began her pursuit of her certificate to work with Toddlers. She has been working in the Toddler Room since the program's transfer to Parker in 2007.